Generating your own energy has never been more important than in today’s world. Gas and electricity prices now stand at a record high and as such, your bills are more expensive than ever. That’s why harnessing renewable power is so worthwhile, ending your reliance on the National Grid power. Thermodynamic solar panels are becoming more and more popular in the UK. They take the sun’s rays and convert them into heat for hot water in your home. They’re highly efficient and by taking advantage of modern technology you can save and earn hundreds of pounds every year. Government schemes reward you for producing your own energy and you’ll also save money on bills. It’s certainly worth considering if you want to reduce your expenses. Of course, thermodynamic solar panels are environmentally friendly too so whilst you’re saving money you’re also doing your own bit for the planet. Homes are given an energy ranking dependent on exactly how efficient they are and ratings are shown in the data below. This varies from A, the most energy efficient, to G, the very least efficient. With a higher rating you're more likely to have less expensive energy bills as more heat shall be kept inside your home. You'll be able to improve your home's efficiency with insulation including upvc double glazing, loft lagging or wall cavity insulation. There are numerous types of property in Britain and the info below illustrates the type of homes within Uk. Over the country the most common housing types tend to be semi-detached and terraced housing, but detached homes, flats and bungalows are also available. The pie chart underneath shows the percentage of properties within Uk that are central heated and non-central heated. Central heating figures within the the vast majority of UK houses, including those on the gas grid and properties heated by oil and electric. The information below shows the spread of houses heated by different fuels. Around the UK the most frequent by far and away are gas heated properties, followed by electricity and then oil. Biomass boilers are also growing in popularity, heated by environmentally friendly products including wooden pellets or agricultural waste.|Houses in Britain are heated by a range of fuels, which include gas, electricity, oil, solid fuel and LPG boilers. Each fuel has a varying cost associated with it and that means you could find yourself with more affordable energy bills by changing how your house is heated. 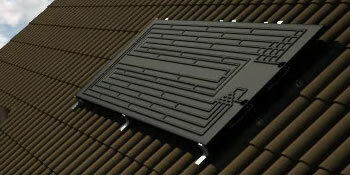 Even solar thermal panels are being regarded as by many in order to reduce heating bills for the many years to come.